Although this week did not have the big news like the announcement of the new expansion, Galactic Starfighter, we have had a few updates for some minor bugs. Earlier this week, marked the return of the Bounty Contract event on Oct. 15th. There have been a few adjustments to the event, so be sure to read the patch notes for the event. There was also the announcement of the Community Cantina event taking place at EA in San Francisco. 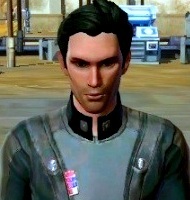 Before we get into the main links, many might wonder what Imperial Agents do to cut loose or even if they do have fun. Well, at the risk of many spoilers and being hunted down by those in Imperial Command, I will share the main vice for Imperial Agents…karaoke! Thanks to Youtube user, fireceremony for the video. BioWare has announced another Community Cantina event. This event will be in San Francisco, CA, at the Electronic Arts – Redwood Shores Office. Like the other Community Cantina events, there will be a Q&A with some from the development and community teams, food & drinks, Tauntaun Fawn codes for all those attending, and other giveaways. The one difference, and I’m so jealous, those attending will get the chance to try the new Galactic Starfighter expansion! If you have not had a chance to get to a Community Cantina and will be in the San Francisco area during November 13th, 2013, this is a great opportunity to attend. Not only do you get to meet fellow SWTOR gamers and members in the development and community teams, but there is also the chance to try the new expansion…bonus! For more details on this Community Cantina event and where to submit your RSVP, make sure to read the official post from the SWTOR website. There was indeed an issue with some player’s security keys. The issue should now be resolved and shouldn’t affect any players moving forward. However, if you are currently affected by the issue, you will need to remove and then re-add your security key to resolve it. This appears to be a fairly isolated incident, but if anyone out there has an issue with using their security key and accessing their account or playing the game, contact someone in customer support. It sounds from the post, like it is just a matter of removing your key from the system and then adding it back. This is a bug that we’re quite aware of, and we’re working on a fix for Game Update 2.4.2, and to clarify any confusion, it is absolutely not intended for relics that have the same on-hit effect to stack. We’ll be adding this to the Known Issues with the next update. As Amber stated in the post, using relics that have the same effect when hit or on hitting an enemy are NOT suppose to stack. If you see this it is a bug and not an exploit etc. By now, this has probably been added to the known issues thread. By update 2.4.2, hopefully this issue will be fixed. I’ve got my eye on this for additional players to report if they’re seeing it too! Please see if Quinn’s just disliking the bright lights of Nar Shaddaa (aka does he heal if you are on a different planet?) and double check what Laop said above. Hmm, it sounds like Quinn has lost his taste for healing some of you, on the Hutt controlled world. If this is happening to you, make sure to fill out an in-game bug ticket and also post here. 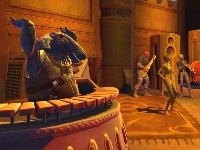 In both cases, make sure to document as much information as possible, as far as what were the circumstances when Quinn decided to stop healing on Nar Shaddaa. I will go test this with my Sith Juggernaut, who happens to be Pureblood. I will use the punish ability and see if that straightens out ol’ Quinn. Carla is back from vacation! She and Drew recorded the latest CRR podcast, Episode 105: OMG Real Space Combat! I’ll give you a guess as to what one of the topics they discuss lol. Yes, they do talk about the new expansion announcement, Carla’s thoughts on Oricon, and a few other things relating to Update 2.4. 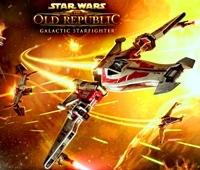 I came across a new fan fiction story on the SWTOR forums. The story thread is titled “Rise of the Sith Lords” and is posted by SWTOR forum user, Billupsat. The story, thus far, has three chapters, but from the story I am sure there will be more to follow. It starts out on Tython, the current location of the main Jedi Temple during the SWTOR timeline. The main character is Kradok, a young Jedi Consular in training. The story follows some familiar locations, inhabitants, and prominent people found on Tython in the game. From there the author takes the story into some completely unique storylines. I am finding it interesting in figuring out how the main character is generating Force. Is this a possible future storyline yet posted or just me over thinking things? I am hoping for more posts on this story, so my curiosities will be answered. Here is a small excerpt from the story. I would suggest you go the read the story all the way through and leave your comments to the author. The shock collar around my neck, I disabled it somehow… I ran, as my world blew up around me. I couldn’t leave my brother… so I tried to go back, but the imperials surrounded me. They were going to kill me, but… I stuck up my hands… and their blaster fire went back at them, I was able to lift objects with my mind… the force as you call it, and throw them at my enemies. I was about to go back into the enemy camp to get my brother, when one of your people showed up, he wouldn’t let go in… I fought him with my new-found abilities, he knocked me unconscious. When I woke up I was on a Republic ship. Also if you have written some fan fiction or read a story in the forums, etc. and would like it to possibly be highlighted in this article, just send me an email with the content link and a brief description to jason@corellianrun.com.